Nothing remains of this today, but it is said that this was the Officers mess. 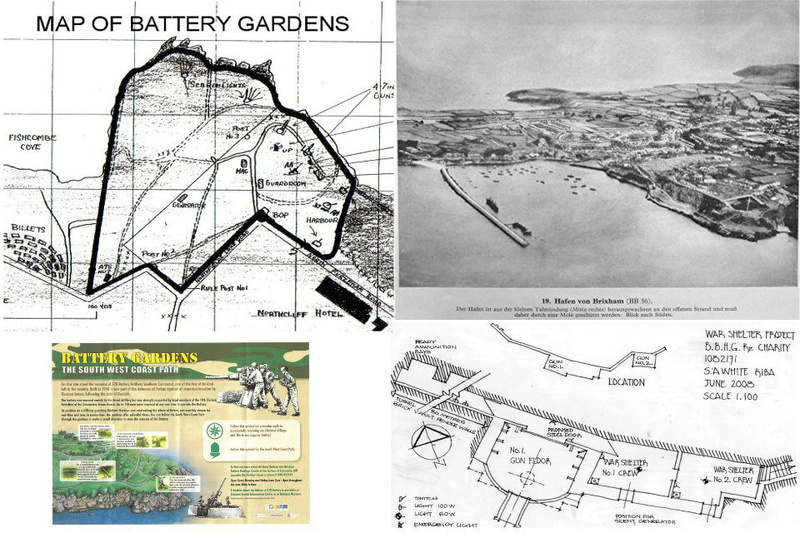 The waters off Brixham battery and Brixham were guarded by an electric minefield that was turned on at night and off during the day. The control to this minefield was situated above Fishcombe beach, just down from the A.T.S hut. All that remains today is a concrete base but closer inspection reveals the rubber cables that provided power to the minefield. Before turning left at the bottom of the main path from the Battery Observation Post, looking straight ahead is the remains of one of the various Rifle Positions on the site. 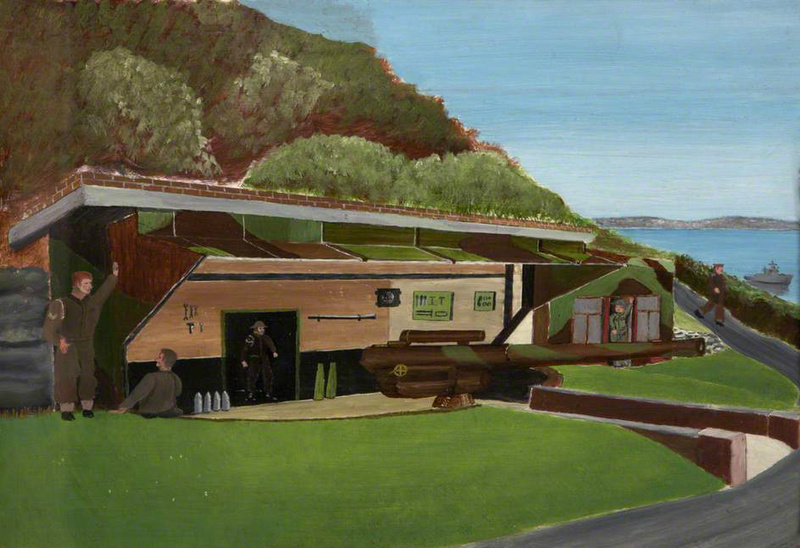 This particular one was designed to cover the sea shore at the bottom of the site. During the war there were no trees on the slopes down to the shore line which gave an unobstructed field of fire against intending enemy landing forces. Another Rifle Position is located at the lower western corner of the site, half way down Fishcombe Road. As well as rifles, these posts were ideal for the Bren Machine Gun.